When looking for a new vacation destination, if you’re like most people, “Visit Bend because we told you so,” just isn’t going to do it for you! You prefer concrete facts to orders, and as vacations are expensive, you especially don’t want to go broke and be dissatisfied with your choice. We understand completely, and as such, we have created this list of the top reasons to go to Bend to help ease your mind. We have nothing to hide and everything to gain! Bend events are for everyone! No, we don’t expect you to plan a vacation around ice cream, but we think Goody’s Chocolate and Ice Cream has some of the best treats we have ever tasted and is definitely worth a mention! Also, now that we have planted the seed, it really does make you want to visit, just to see if the ice cream is as good as we claim, doesn’t it? We’ve traveled the world a fair bit, and over the years, we have seen more than our fair share of sunsets. Ocean sunsets, desert sunsets, small town sunsets—all are amazing. But the sunsets we have in Bend will stop you in your tracks and have you standing motionless with your mouth wide open as you watch the sun explode in the sky and then slowly sink behind the mountains, touching your heart and changing your life forever. There are many places you visit where there’s only something to do during one particular season; during the rest of the year, the town basically closes down. In Bend, however, you can always find outdoor fun year-round. Skiing in the winter, fishing in the summer, leaf watching in the fall, and hiking no matter what time of year, plus dozens of other activities. The landscape of Bend is stunning, and you will want to be outside experiencing it no matter what time of year you visit! Music festivals, art museums, live theater performances, and shopping—the culture of Bend could hold up against that of many larger cities that shall remain nameless! 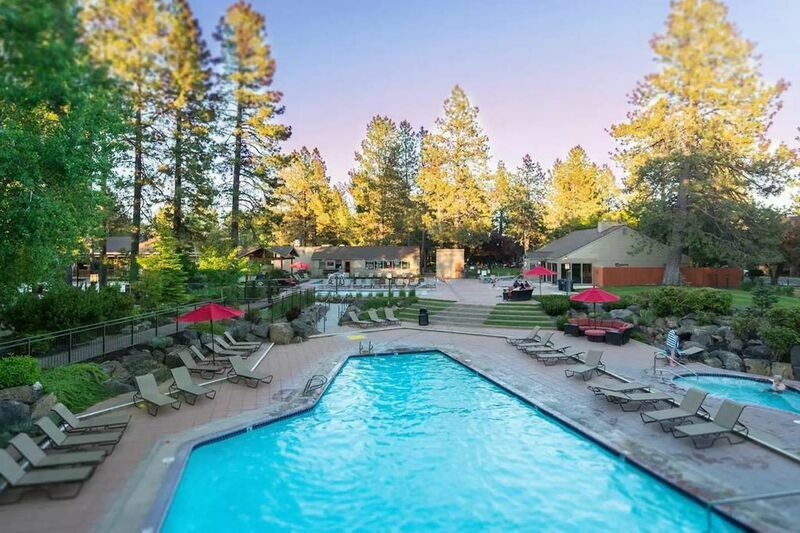 A Bend vacation offers all of the same things you can find in a more urban setting, while retaining that small-town charm that feels like home. Learn all about Bend Oregon points of interest! Ok, we may be bragging a bit, but when you stay in one of our Bend Vacation Rentals cozy cottages, cabins, homes, or condos, you become a part of our family, and we take care of family! Reserve yours today and discover the difference a home makes in your vacation experience!